Investing regularly in equity funds and debt instruments. Goals have high targets but not enough time available for them. Needs to hike monthly investment by Rs 34,000. All SIPs will also need to be hiked by 10% every year. Invest in NPS for retirement. Opt for aggressive portfolio with 75% in equities. Avoid fixed deposits and invest in tax efficient debt funds. Avoid investing in too many funds. Makes portfolio unwieldy. Fund portfolio has mid-cap skew so be ready for volatility. Review investments and rebalance at least once in a year. Invest in debt and systematically transfer to equity funds. 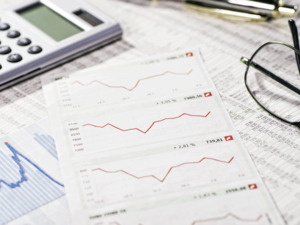 For ease, pick debt funds from the same fund houses as the equity funds. Review fund portfolio at least once a year. 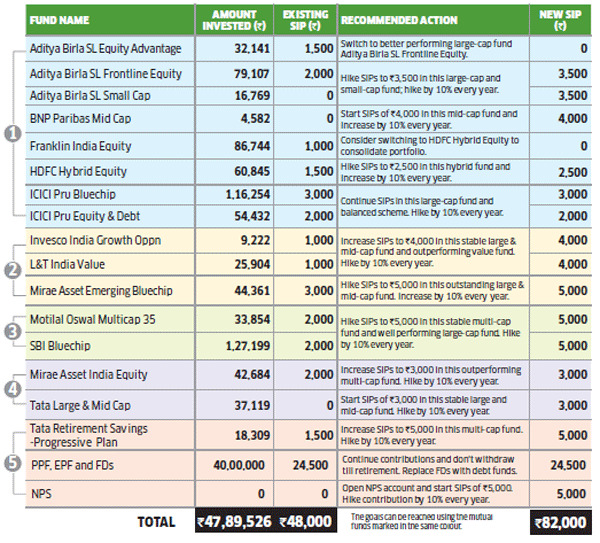 Change if any fund’s performance slips.